A small pyroclastic flow occured at Merapi yesterday, reaching 1.8 km from the summit. Today, the explosive activity from the vents at the summit seems to have decreased further. The ash plume rises to about 1 km above the crater and appears to be much smaller in volume than yesterday. Yogyakarta airport is scheduled to reopen on 16 Nov, if the trend of decreasing activity continues. While the situation around Merapi remains chaotic, with an estimated 200,000 people being evacuated or fleeing their homes near the volcano, significant ashfall also causes major damage to life and infrastructure of the city of Yogyakarta itself. Most of the new victims were caught by the so far strongest pyroclastic flow that reached the village of Argomulyo( -7.668635, 110.462992) in 18 km distance, where they were burned by the advancing hot surge and the following ash flow. If that figure is true, it means that the scale of the eruption has reached a new level of magnitude: either a significant dome collapse took place or a very violent, vulcanian or sub-plinian explosion, or a combination of both. 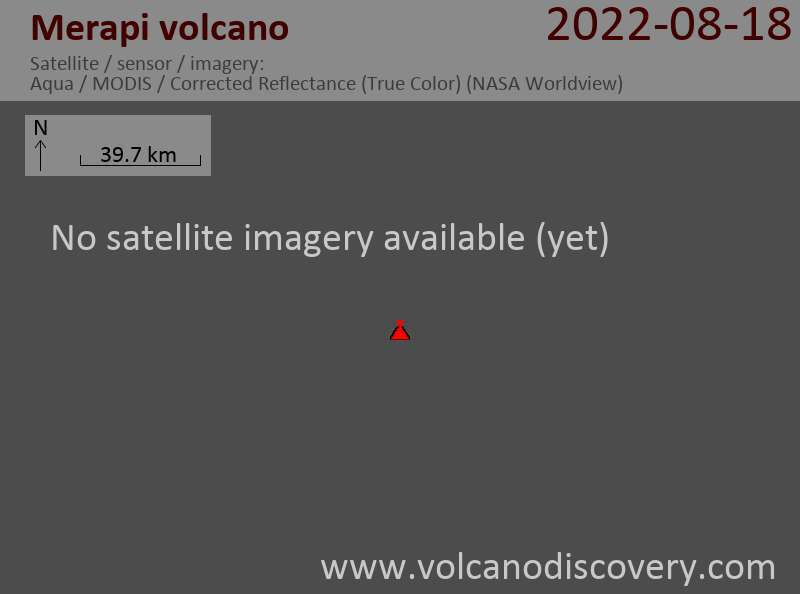 The first scenario alone seems unlikely given the short time the dome has had to grow so far, the eruption might rather be related to the ascent of fresh, gas charged magma. A powerful explosion happened at Merapi at 01h00 local time on 30 Oct 2010. News reports talk about an ash plume 12 km high. New explosions and pyroclastic flows occured today at Merapi volcano. An example of a pyroclastic flow triggered by material falling off the growing dome can be seen at a published Reuters press photo. Various news sources report new explosions from Merapi today (28 October). There are no reports about fatalities. The summit section of Merapi on 27 Oct with the large scar where the new dome is growing.
) we learnt that according to the monitoring scientist, based on deformation data, the southern part of the dome is growing fastest and at a current rate of 9-20 cm per day. From our correspondant on location, the sad confirmation arrives that so far at least 24 people were killed by a pyroclastic flow yesterday that destroyed the village of Kinahrejohas on the south flank. Among the victims was the respected Guard of Merapi, Mbah Marijan whom many of us have met in person. The team of VolcanoDiscovery expresses their condolence to his and the other victims' friends and relatives. Most other news sources, however, including Indonesian newspapers such as the Jakarta Post, do not mention these fatalities and only talk about injuries and a baby falling victim because of inhaling ash. Authorities have begun to evacuate around 10,000 people living in the slopes around the volcano.